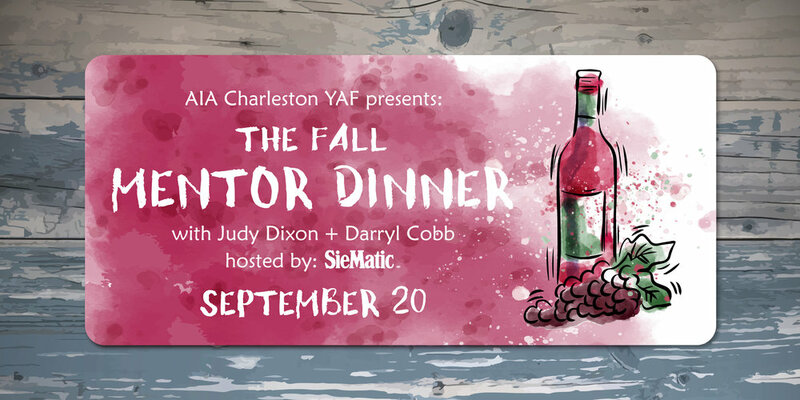 Join the AIA in welcoming our esteemed colleagues Judy Dixon and Darryl Cobb as they share their time, experiences, and knowledge with the next generation of architects in Charleston. Bring your inquisitive mind and a bottle of wine as we sit down for dinner and discuss the pressing issues in our city, our profession, and our lives as Architects. Each dinner will pair established professionals with a small, fixed number of emerging professionals. Attendance will be limited and RSVP’s will be accepted on a first come basis. Openings are expected to fill quickly, so RSVP today!